isetta had the most liked content! Fiesta 57 plate engine suddenly overheating ? 1.8tdci is oil cooler needed? Ok, thanks. Sounds like it might be desirable to have it working to help demisting screen in winter as car does not have quickclear screen. But for now the priority is to have the car running so can be used. My brother's Focus 1.8tdci has major coolant leak at back of engine. He is bringing it round to me in the morning to have a look at. Looking at pics of this engine it looks like there is a water cooled oil cooler on back of the engine which has two rubber coolant hoses to it. Hopefully the problem is a split hose there. But my question is - do you reckon the oil cooler is essential. If I improvise a fix which bypasses the oil cooler will it really matter. the car is not driven hard, nor heavy laden , nor for towing. Cars did not have oil coolers on in the past. How essential are they really? Which Deisel to Buy? Advice Please. ecoboost power and torque might look as good/better on paper and it might drive very nicely (I have not driven an ecoboost) but I bet it uses a lot more fuel than the diesel. I had a 2007 1.6tdci fiesta and I thought it drove very well with regard to power. I now have 2015 1.5tdci 95bhp econetic. On paper it should be as good if not better but it does not feel it. It's not bad, it just does not feel as good. It does have higher gearing. My old one was 3000rpm = 80mph, my current one 3000rpm=100mph (both have 5 speed box). I think it has higher gearing as it is the Econetic. Must have options is really personal choice, what's important to you? most important to me is Quickclear windscreen. 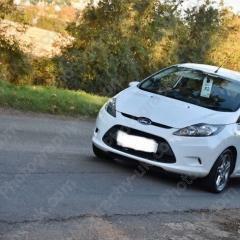 Standard on Zetec upwards. Not standard on my Style spec but luckily the first owner paid the hundred quid extra for it. I would not have bought one without the quickclear windscreen. I bought mine in 2016 when it was 10 months old with 9500 miles on it from a main Ford dealer for £10,200. So based on that , £10k might be plenty, but I had a look recently and it looked like they may have gone up a bit since then (at the time it was not a bargain, it was the normal price). Perhaps the tax free status of those has increased demand a bit. Focus died when idling then comes back to life. if all electrics eg radio go off I can't see how it can be fuel injector. sounds more like a faulty electrical connection. If the engine stopped due to something like an injectotr fault I am sure the radio would not go off. i would imagine that is a very major amount of work to replace it. can you get to where the crack is?, if it was mine and i felt the need to do something about it i reckon i would be trying to cover the crack with good quality gaffer tape or putting some kind of sealant or no more nails type stuff on it. New Egr valve fitted but still not right. for now I would push a bung out of the floor so at least water drains out. (if it's the usual bung type push up from underneath the car). if you have a burning brake smell touch them and see if one is really hot compared to the others. be careful don't burn your finger. also, I wonder if the slow turning of the starter motor is a separate issue. eg. a less then perfect battery. Diesels have higher compression than petrol than need a better battery to turn the starter motor. Coupled with the fact that glow plugs use a lot of electrical power which also means the battery needs to be even better to power the starter motor at the same time as powering the glow plugs. So I wonder if battery is old or if someone has put a small lower power one in there. Lower AH and lower CCA rating.